← In the News: What Happened & What Now? The struggles and subsequent successes at Standing Rock are trending. Following the #noDAPL hashtag yields updates from people who are present at the encampments and news from international outlets publishing details about the development of the Dakota Access Pipeline. Stories have covered the way it was re-routed to avoid a river-crossing north of Bismarck, the pipeline company’s nominal assessment of the pipeline’s potential impact, and what Energy Transfer Partners—the company that owns the pipeline—stands to gain from its development. As of Sunday, December 4, the Army Corps of Engineers denied the permit that would have allowed Energy Transfer Partners to route the pipeline under the Missouri River near the Standing Rock Sioux reservation. People around the world are now aware of the resistance that has been offered by the “water protectors,” members of the Standing Rock Sioux Tribe and their allies. But it took a while for this story to reach such a wide audience. 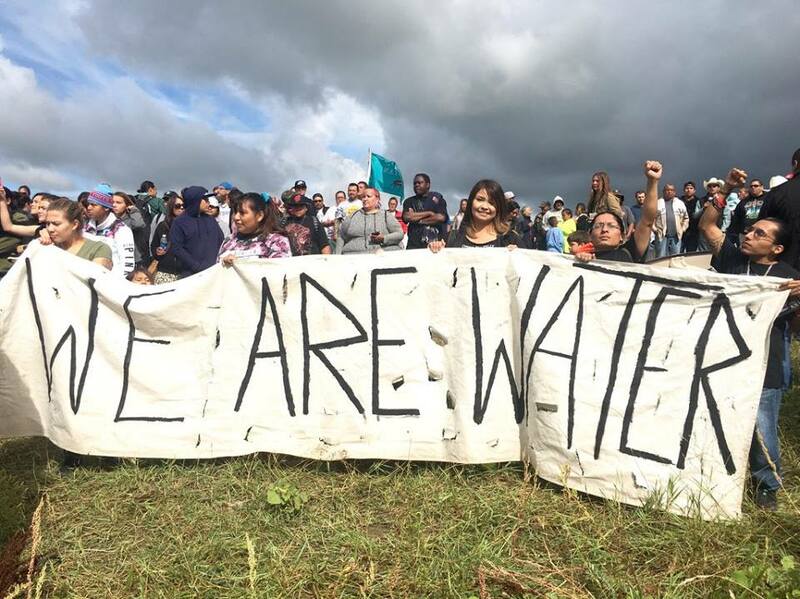 After the Army Corps of Engineers obtained a final fast-track permit for the project in August, members of the Standing Rock Sioux Tribe sought to block construction on the project and started to develop three encampments. Support trickled, and eventually poured, in from diverse allies including musicians and veterans. Early on, the protesters at Standing Rock were concerned about the lack of media coverage of the pipeline construction. But mainstream media finally tuned in in September after the situation escalated when employees of a private security agency attacked protestors with dogs. By the end of October, millions of Facebook users were virtually “checking in” at Standing Rock to demonstrate support after police presence increased. In November, police used rubber bullets and water cannons in sub-freezing temperatures, raising humanitarian concerns. As December began and winter set in, political and police pressure increased and the Standing Rock Sioux and their allies continued to stand their ground. This week, people at the camps and their supporters have been celebrating the announcement that the pipeline would be re-routed. Still, uncertainty persists about how the future political environment may affect the present victory. As the situation continues to unfold, it’s important to understand that, while the struggle taking place at Standing Rock is historic, it is not unprecedented. In tense moments like these, in which decisions can have monumental effects and outcomes are uncertain, looking back on the past can be instructive. Yet the task of understanding the long history leading up to the pipeline controversy is not a simple one. 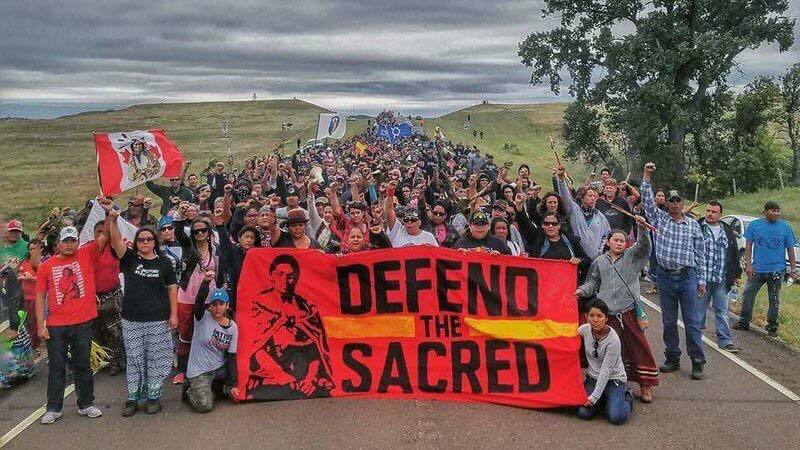 While mainstream media coverage of the resistance at Standing Rock has increased, news stories focusing on specific happenings at the camps often cannot capture the longer history and context that has led to the creation of the camps and the outflow of support from Indigenous nations and non-Native allies throughout the United States and beyond. At the same time, seeking to understand the past creates its own difficulties, as many of those who created the documents that we now turn to for facts and answers often wove their own prejudices and preconceptions into the historical record. In what follows, I consider what past events can tell us about the present moment and explore the fundamental difficulties of this task due to colonial sources and narratives that frame mainstream understandings of history. Last month, as the snow began to fall over the camps at Standing Rock, police threatened people bringing supplies to the camp and political leaders began calling to evict the water protectors. 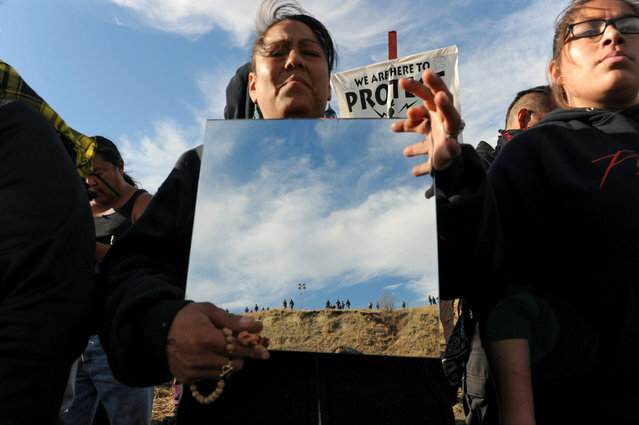 There are ways in which this militarized response to the Standing Rock Sioux and their allies calls to mind eerie similarities with the Wounded Knee Massacre in late-nineteenth century in South Dakota, a widely cited event in which the U.S. military surrounded, and opened fire on a group of Miniconjoiu Lakota (Sioux) people involved in the Ghost Dance. Officials justified the military intervention because some Euro-Americans found the Ghost Dance, otherwise known as spirit dances, threatening. (I have written about this history here.) We can learn from the ways in which what is happening at Standing Rock resembles what happened to the ghost dancers more than a century ago. Again today, corporate interests, the cultivation of fear, the blurring of lines between religion and politics, and media responses have been taking shape in dangerous and historically recognizable ways. There are also similarities in how violence is being framed in Standing Rock and how it was framed back in the 1800s. In the weeks leading up to the massacre at Wounded Knee, the media did take some interest in the Ghost Dancers, but coverage was framed in terms of the “Messiah Craze”—a phrase that specifically sought to de-legitimize the tradition by suggesting that followers were deranged or irrational. After the massacre occurred at Wounded Knee Creek on December 29th, 1890, interest and news coverage increased dramatically. At Standing Rock, early on, water protectors were concerned about the lack of news coverage that the encampments at Standing Rock were receiving and, like in 1890, the mainstream media did not offer extensive coverage until after violent events occurred. Numerous public and private police forces from within and outside North Dakota have been called in to monitor the protectors. Police have maintained that their violent responses are justified based on the protestors’ actions, while the water protectors themselves articulate a defensive rather than offensive position. Again, the media response increased as the sense of confrontation escalated. Considering these historical moments is important because communities still ache from the effects of long-ago losses, and racialized assumptions prompting inhumane treatment still stubbornly linger. Yet significant changes do distinguish the present moment from the assimilation era. One of the key developments has been the rise of Indigenous activism and self-determination since the Red Power movement in the 1970s. Indeed, a distinct feature of the gathering of water protectors at Standing Rock is the way that many Native nations have united to supporting the cause. Reports indicate that Standing Rock is one of the the largest single gatherings of Native American nations ever. In addition, many tribal governments have released official statements outlining their solidarity with Oceti Sakowin, the Great Sioux Nation. There has been a long history of inter-tribal cooperation, but accounts from the camp indicate that this is a historic gathering on a new level and an important emerging moment for coordination and solidarity. The present commonalities and common causes coming together in Standing Rock have a long and painful history. Over the course of centuries, Native communities changed and adapted as they encountered European and Euro-American newcomers, just as they had prior to 1492. 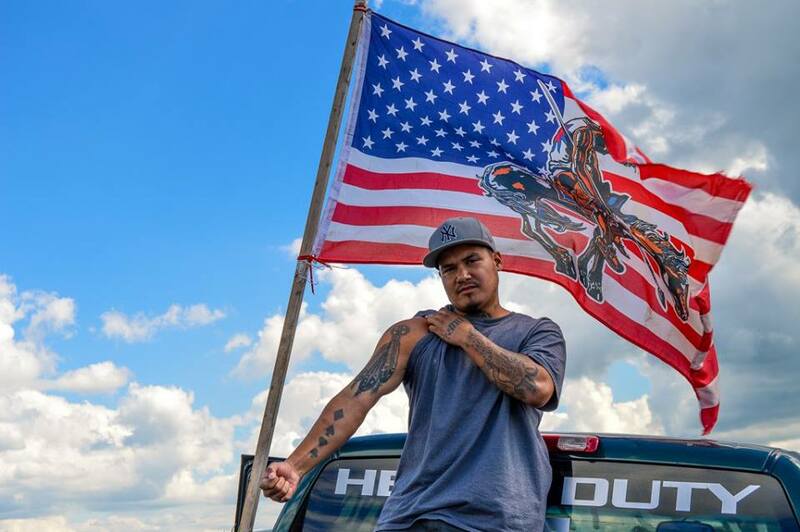 Since 1776, the U.S. government has been engaged in different forms of diplomacy with sovereign Native nations, at some times seeking to dictate separate spaces for Native communities, and at others seeking to incorporate Indigenous people into mainstream American citizenry. (See a brief overview of federal Indian policy here.) In the late nineteenth century, leading policy makers explicitly stated their goal of destroying Native American cultures using the tools of assimilation. Thus, despite their unique histories, languages, forms of material culture, and systems of governance, there is one element that Indigenous communities throughout the present-day United States share: they have engaged, in one way or another, in some form of resistance to colonialism. Even as this is the case, one of the biggest challenges when discussing U.S. empire and the colonial efforts targeting Native Americans is to resist the narrative of the inevitable demise of Native American individuals, communities, and cultures. It is essential to note, though, that documenting histories of violence is not equivalent to saying that any of the outcomes we study were inevitable. Historically, outside commentators on Native American culture crafted and sustained a declension narrative—a narrative of the supposed decline of Indigenous peoples. In the nineteenth century, anthropologists and government agents concerned about Indigenous societies posited that contact with Europeans and Euro-Americans eroded essential features of Native societies, launching them into a spiral of decline. Even official government documents, which some historians turn to as objective sources, include subjective accounts that were produced within and reify this way of thinking. For example, a 1890 federal census of Native Americans contributed to the narrative of decline by including racialized commentary and subjective accounts with its statistics of residents of reservations. For example, the author of an historical overview preceding statistical tables in the census claimed that Indians were already “exterminating themselves” prior to contact with Europeans (H.Rep. Mis. Doc. No 340, Part 15, 1894, 53). This notion about the inevitability of the decline of Native American cultures served to justify some of the policies that attacked and undermined Native cultures and ways of life. Furthermore, because Euro-Americans were convinced that Native cultures were doomed do decline anyway, policy makers did not have to worry about being held accountable for the harms they inflicted on individuals and communities. It wasn’t just census officials and policy makers who engaged in this kid of colonializing “expertise.” Early proponents of humanistic and social scientific academic disciplines also contributed to narratives of decline. In the late nineteenth century, scholars working in the academic study of religion also sought to gather knowledge about Native American cultures and spiritualties. This knowledge not produced for the sake of the communities that they studied, however. It was initially used to uphold narratives about the superiority of Euro-America civilization. Their process involved the devaluation of Indigenous ways of knowing, rendering Indigenous knowledge and systems of sharing knowledge as illogical and untrustworthy. In addition, gathering knowledge about Native practices identified important aspects of culture that the government could then seek to change. The decade leading up to the massacre at Wounded Knee was a period in which the government and mainstream Americans were learning more than they had ever known about Indigenous cultures. But knowledge wasn’t enough to prevent the tragedy at Wounded Knee from occurring. In fact, it may have helped lead to it, just as increased knowledge about the Sun Dance was followed by its prohibition in the 1880s. Wielded by outsiders, knowledge about Indigenous religious traditions was used not to illustrate significant features of Native lifeways and traditions, but as evidence that Native American cultures were incompatible with modern life. Some commentaries on the current situation at Standing Rock have suggested that what is needed to solve the issue at hand, and prevent future issues from occurring, is more knowledge and understanding. This view assumes that gathering more information, uncovering more facts, and hearing more perspectives will automatically remedy the situation. Yet the production of knowledge, in and of itself, does not automatically “help.” If we are going to find ways to resist narratives about the inevitable decline of Native American cultures it is vitally important that we not only recount violent colonial histories but also understand how historians have, at times, relied on and furthered violent ideas. Furthermore, we seem to be at a moment in which some historical atrocities are serving not as warnings but as precedents. Historically, the notion that Indigenous cultures would “inevitably” decline was used as justification for policies that sought to hasten that assumed decline—to change facets of Indigenous cultures that either challenged Euro-Americans’ ways of life or stood in the way of Euro-American interests, especially access to land and resources. Rather than framing our historical comparisons within a paradigm that is based on assumptions about the inevitability of violent outcomes, we might otherwise consider the past, present, and future in terms of eventualities—many different possible outcomes. Those who seek to think critically about these histories—and consider their legacies—should replace narrow ideas about the inevitability of particular outcomes with openness to bigger, broader eventualities. Considering colonial histories is necessary, as is recognizing the devastating effects of colonial policies—but care should be taken to avoid replicating the narrative of decline. In the face of corporations and politicians who seek to impose externally-dictated outcomes, the Indigenous communities who are engaged in protecting natural resources, sacred spaces, and Indigenous sovereignty at Standing Rock seek to determine their own powerful, meaningful eventualities. Those who seek to support these efforts might consider how to cultivate the conditions in which the communities with a stake in the land and water are able to articulate and pursue their own visions of the future. The process of colonialism takes many forms. U.S. colonization of Native American communities has involved physical acts of violence and the governance of communities. At the same time, colonial projects have involved the production of knowledge about the colonizers and colonized, a process through which ideas are crafted that legitimate those physical forms of violence. Yet, at every step of the way, Indigenous communities have resisted and responded to colonialism and shaped their own narratives. At times, colonial mechanisms have even created conditions that facilitated new forms of inter-tribal communication, exchange, and solidarity. This was true in the nineteenth century during the institution of boarding schools and during the twentieth century when termination and relocation policies placed Native peoples from many nations in cities. 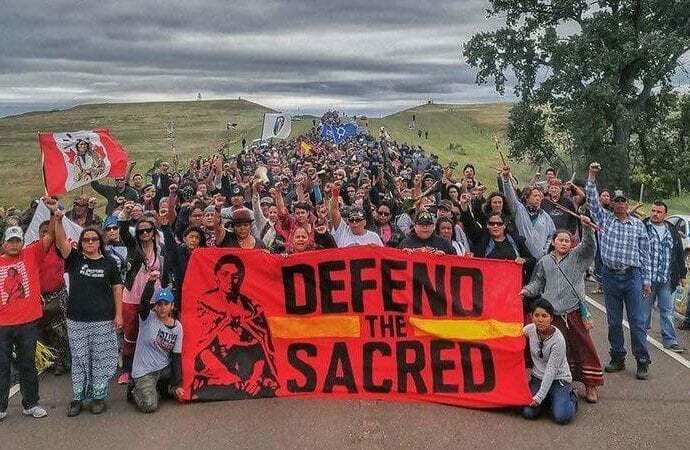 And this is true in the present moment, as Native American nations join together in challenging environmental racism and resisting the will of authorities who would force them to bear the brunt of environmental degradation. Today—at the convergence of sacred rivers, and at the intersection of historical, political, and religious narratives—the world is watching as new eventualities are taking shape at Standing Rock.